Scraping ice off your windshield is the pits! 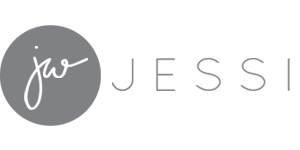 If you can park your car in a garage overnight the windshield won’t ice up, but it might ice up while you’re parked at work, or even while you’re parked at the grocery store if it’s cold enough. 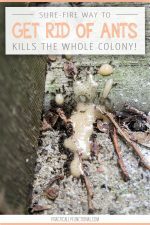 The worst part about scraping ice is that it takes a while to do it, and you have to be out in the freezing cold the whole time…but no more! 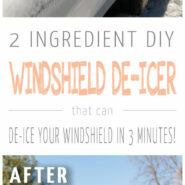 This 2 ingredient homemade windshield de-icer spray will de-ice your window in under 3 minutes, no scraping required! Spray it on, get in the car, and 3 minutes later you’re ready to go! 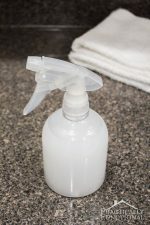 The best thing about this homemade windshield de-icer spray is that you can keep it in your car and it won’t freeze! 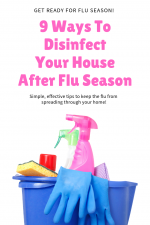 Just pop the spray bottle in your glove compartment and you can leave it there until you need it, even overnight. 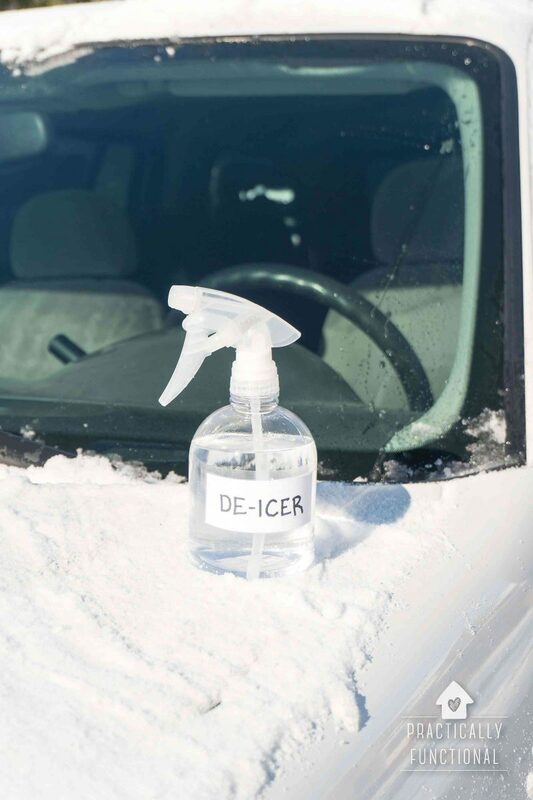 The recipe for this homemade windshield de-icer spray is simple; it’s 2 parts rubbing alcohol to 1 part water. So I filled my spray bottle with 2/3 C rubbing alcohol and 1/3 C water. Pro Tip: Rubbing alcohol comes in different strengths; 70% or 90% should work great, but 50% won’t work as well. Here’s what our car looked like one morning after an overnight snow. Totally covered in snow! And even after I brushed the snow off the car, the windshield had a thick layer of ice on it. 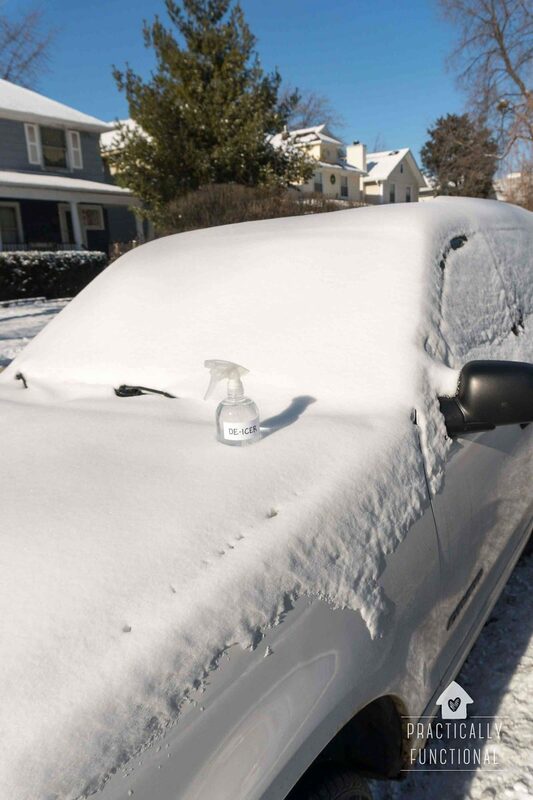 Luckily, it’s easy to de-ice the windshield with this spray. 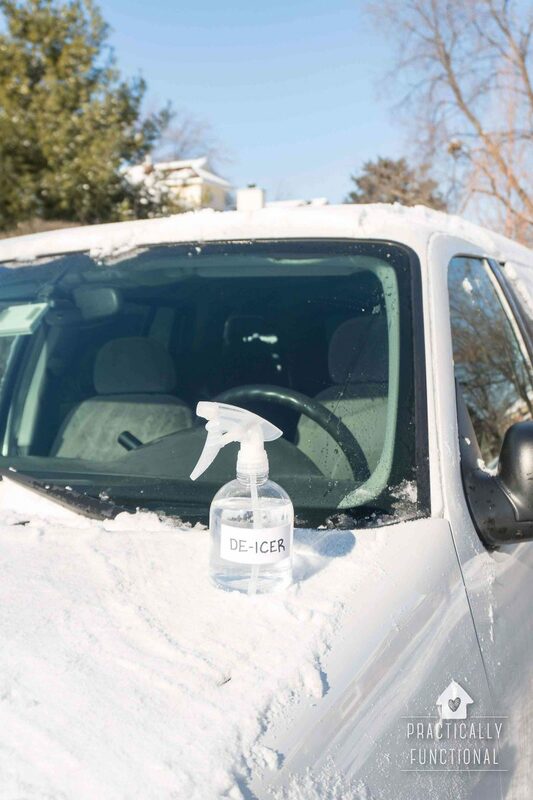 Spray the windshield liberally with the homemade windshield de-icer spray. 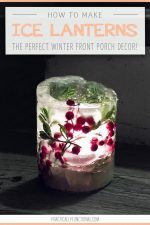 You should see the ice start to melt in seconds! 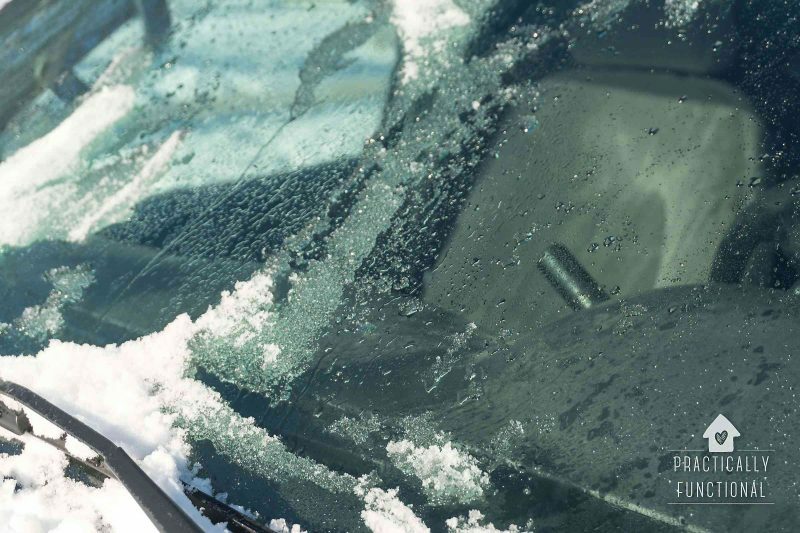 It may take a few minutes for the ice to melt completely, so get in your car while you wait so you don’t freeze. Turn on the windshield wipers to wipe away the ice and water. 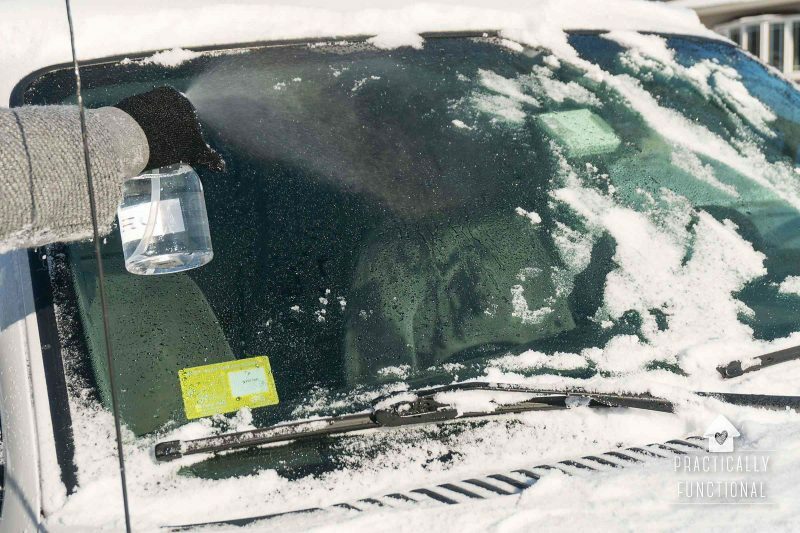 If there is still a little bit of ice left, feel free to spray the windshield again to finish the job. Now you have a clean, clear, ice-free windshield, and all you had to do was spray it and sit in your car for a few minutes!!! No scraping, no work, no standing out in the freezing cold. 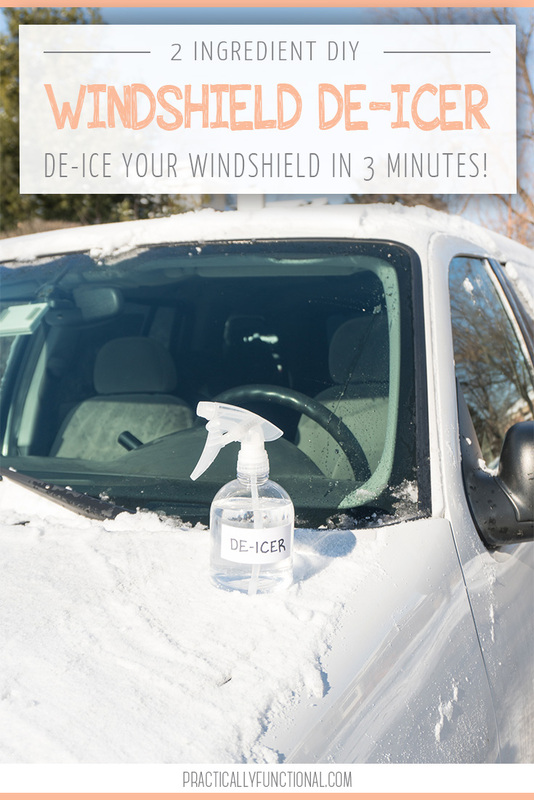 And you can keep the homemade windshield de-icer spray in your car so you’re always prepared for an iced-over windshield. 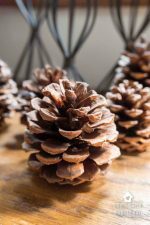 I could have definitely used this recipe last week.